The eleven-tens have lots of documented history about crusades and tensions over investiture, but THwtMQ tries to cast a broader net than all that. Several of this week's questions are pretty tough, but they might be within range of a sharp inference. Remember, we're all learning together here. 1. 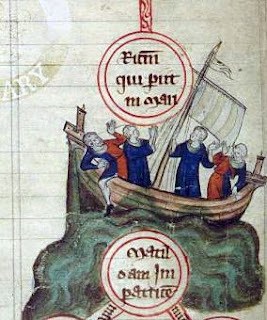 On November 25, 1120, the White Ship sank off the French Coast. This led to "the Anarchy," two decades of civil war and strife in England. How did the one lead to the other? 2. In 1122, Georgian King David the Builder moved his capital to a city that his armies had just recaptured from the Seljuk Turks. It would remain the capital throughout the Georgian golden age, and also when Georgia reemerged as an independent state in 1918, and again in 1991. What’s the city? Starts with a “T”! 3. This painting, “Wind in the Pines Amid Ten Thousand Valleys,” dates to 1124. Where do you suppose it was painted? 4. Tyre, even then an ancient city -- it was founded by the Phoenicians -- was captured by newcomers to the region in 1124. Who captured Tyre? 5. 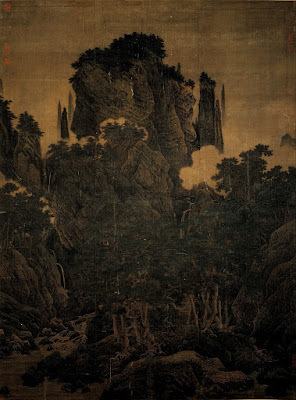 In China, in November 1125, the Jin Dynasty -- Jurchen people who had recently taken over Manchuria -- launched an attack on the Song Empire, which had for generations been the major player in the rest of China. How did that work out for them? 6. In 1125, Saracen pirates raid the city of Antibes in Provence and the benedictine monastery of Saint Honorat on the Lérins Islands. What's a "Saracen"? 7. 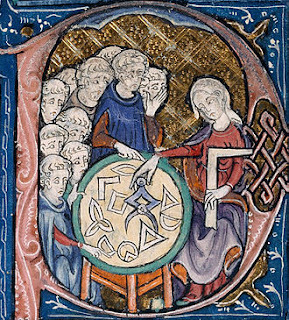 Adelard of Bath was a remarkably learned and well-travelled natural philosopher and all around brainiac, one of the first, for instance, to introduce Arabic numbers into Europe. In about 1126, he completed a translation of Muḥammad ibn Mūsā al-Khwārizmī's arithmetic and astronomical tables. Into what language did he translate them? 8. By some estimates, Kaifeng was the largest city in the world from 1013 until it was sacked in 1127. What city far to the west surpassed Kaifeng sometime in the 1120s to become the largest urban center in the world? 9. 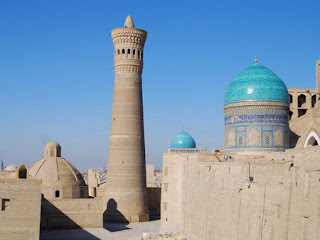 In 1127, The Minaret of Kalyan was completed in Bukhara. Where's Bukhara? 10. At the The Battle of São Mamede, on June 24, 1128, forces led by Afonso Henriques defeated an army led by his own mom, as well as her ally and special friend Fernão Peres de Trava. This family quarrel, the culmination of decades of complex political manuevering, is considered a key event in the birth of what independent country? 1. Pope Paschal II probably would have had better luck healing the great schism if his plan hadn't insisted on universal papal authority. The Patriarch of Constantinople didn't think much of that idea. 2. Burmese first appears on the Myazedi Inscription. 3. The Jurchen people were Mongols, and the Liao held northeastern China, which is to say Manchuria. Not for the first or last time, a Chinese state fell to mounted warriors coming down out of the steppes. 4. Dalmatia is the eastern coast of the Adriatic, pretty much where coastal Croatia is these days. 5. The Hasankeyf Old Bridge crossed the Tigris. So, for that matter, does the Hasankeyf New Bridge. 6. Héloïse d'Argenteuil's boyfriend was Abelard. So romantic! He gave up a lot for her. 7. Mahdia and Gabes are towns in Tunisia. 8. The Almoravids lost the Ebro Valley as part of the long, long Spanish (re)conquest of Iberia. 9. England and France began fighting around this time, and for centuries to come, because the kings of England had come from Normandy -- "Norman Conquest" and all -- and still wanted to hold their Norman properties. Whereas to the French, the English no longer seemed like they belonged on the continent. 10. You put bulkheads in your hold so that if your boat springs a leak, the flooding is limited to a single compartment, and you don't sink. In theory..
Those who weren't too chicken to show up did well on this especially tough one! I'm going to give top honors to pfly, with everybody else nipping at his heels. 1. I wanna destroy passers-by! 1 - The heir to the English throne was lost. 1. Er, wild guess...English royalty was on board? 2. Tbilisi, or something like that. 3. Oh, that's by that guy from the Art Tournament. You know, the guy with the name! The...Dutch guy? Was it painted in, um, Netherlands or Flanders, that area? 5. For the Jin or the Song? It worked out okay for the Song, didn't it? They remained independent, didn't they? 6. Umm...people from....ummm...Sardinia? Or North Africa? Let's say Sardinia. 7. This isn't a trick question and it isn't Latin, is it? Because it should be Latin. 9. Oh, oh...isn't it a province in EU4? In...in....um...umm....damn. Somalia? 10. Those ã's make me want to say Portugal, so I will.